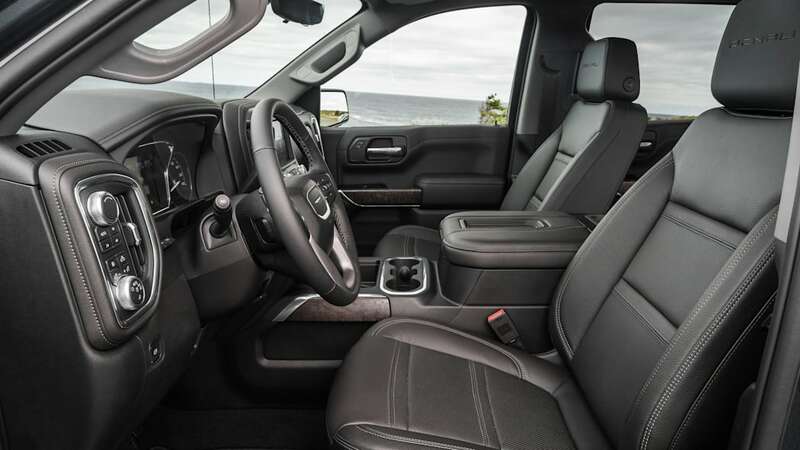 A solid truck with a lot of great, usable technology, but its interior doesn't reflect its price, and Ford and Ram are compelling competitors. 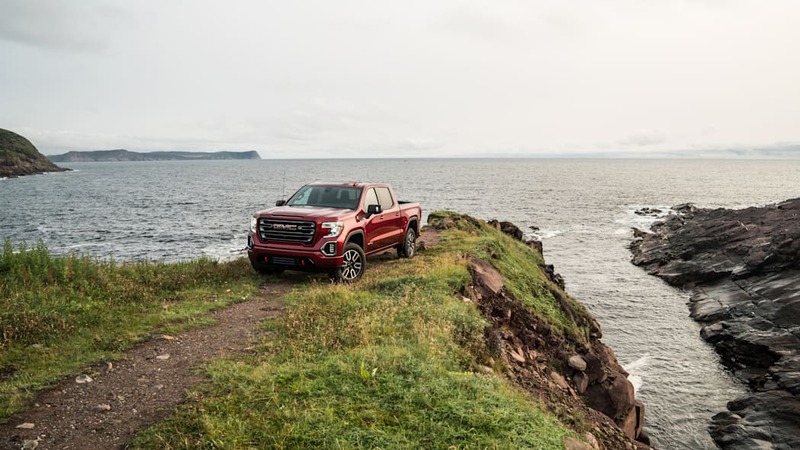 ST. JOHN'S, Newfoundland — Canadians love their GMCs. Both anecdotal and statistical evidence supports this. 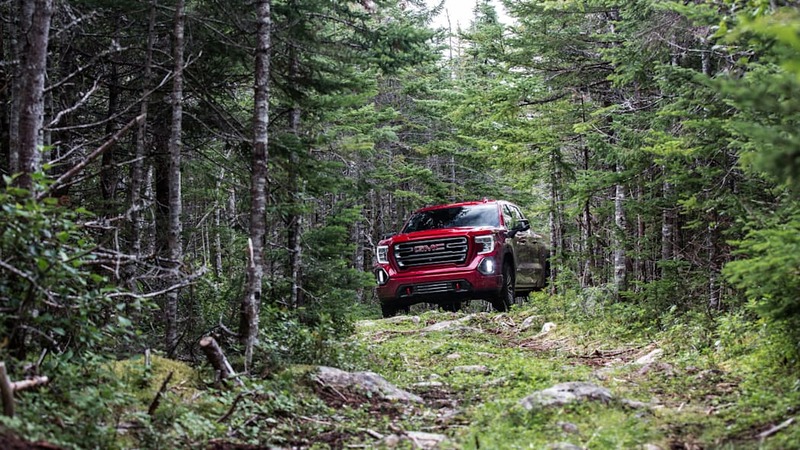 In certain areas of Canada, the Sierra outsells the Chevy Silverado. 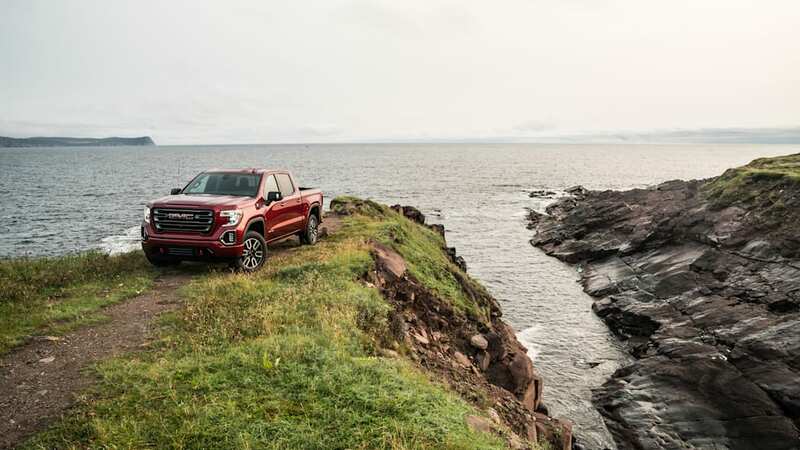 But in this area of Canada, Cape Spear, the morning fog and salt air are thick. This is the most eastern point in Canada, and the most eastern point of North America if you don't count Greenland. 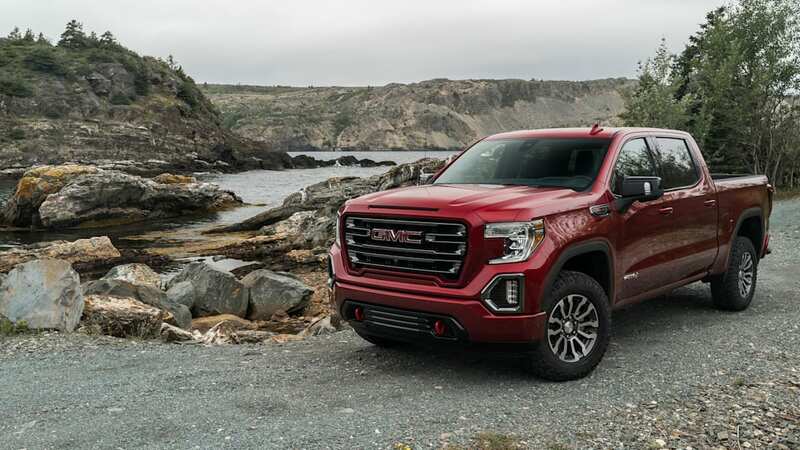 We woke up early and drove to the coast in the new 2019 GMC Sierra Denali, hoping to catch what was promised to be an absolutely spectacular sunrise. The sunrise was a no-go thanks to the fog, turning the sky into a grey mist that melted into the Atlantic. Still, if the world had an edge, this is what it would look like. 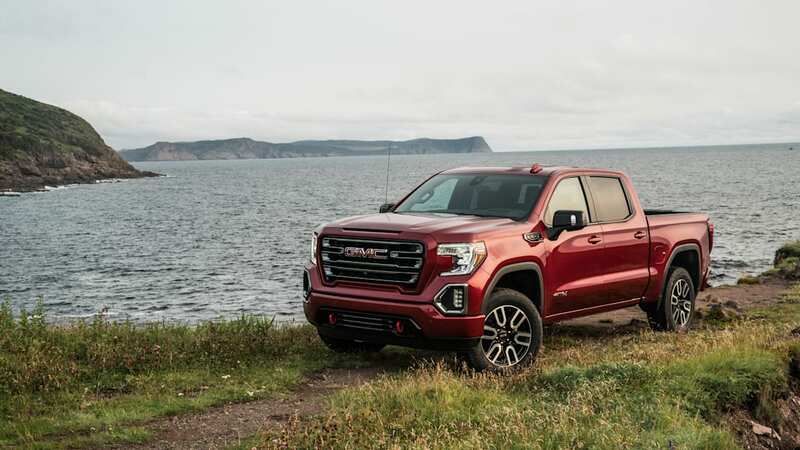 Driving in an inspiring place like this invites introspection, and since we're in an GMC Sierra, why not examine the brand's place in the world? 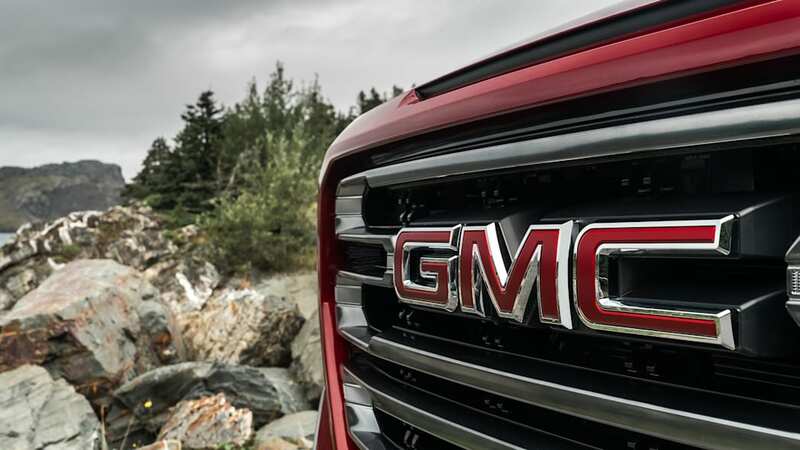 Recall that for years, a GMC showroom was just packed with slightly more expensive versions of other GM products. 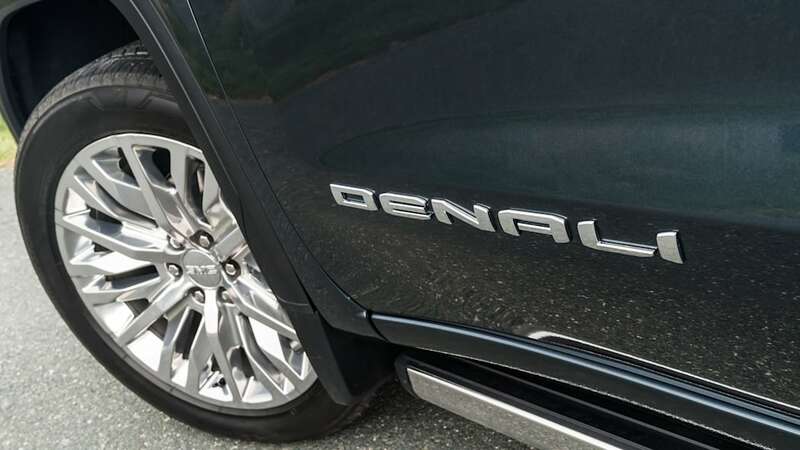 Badge engineering, if you will – a dirty word in our business, applied to such notable machines as the Cadillac Cimarron, Buick Terraza, Chevy Aveo and Saab 9-7X. Things, at least on the surface, seem to be changing. 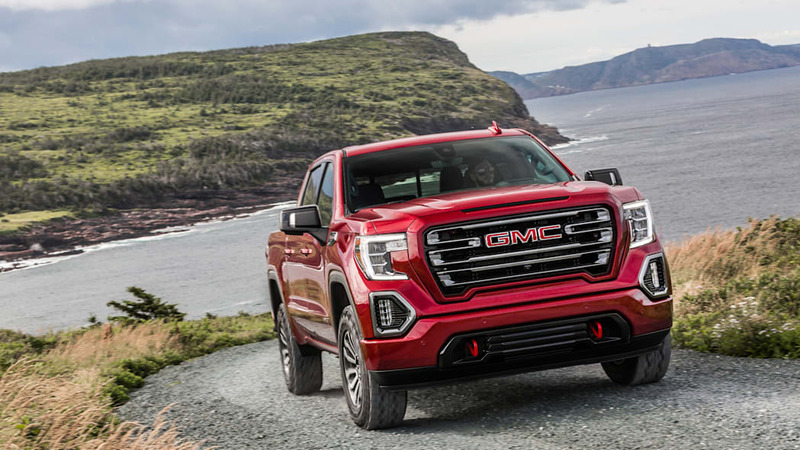 GMC says it's making a concerted effort to differentiate its product portfolio from the rest of GM, but the results have been mixed. The brands were supposed to have less product crossover. 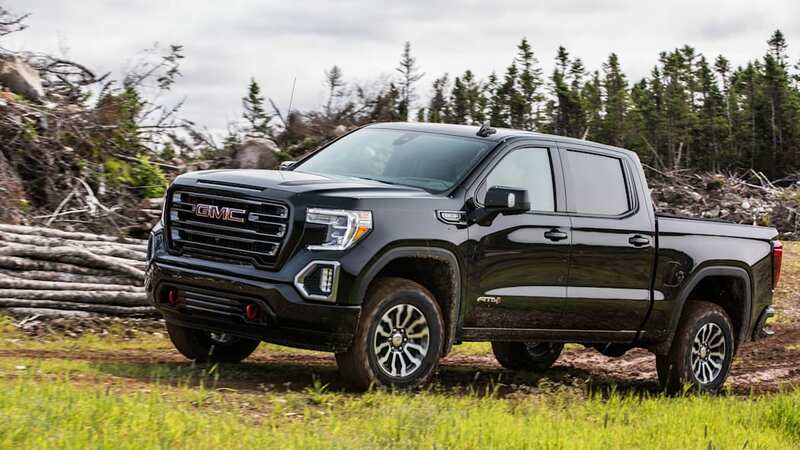 There's no GMC version of the Chevy Traverse and, initially, there was no Chevy equivalent of the GMC Acadia, though the new Blazer kills that advantage. 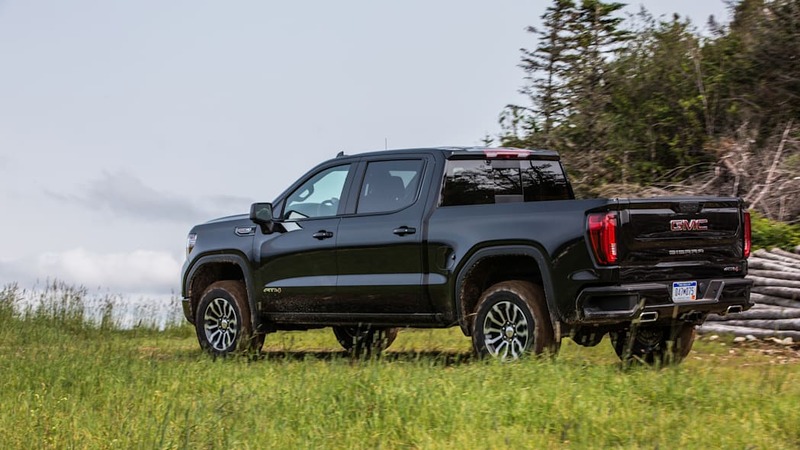 The Equinox and Terrain are still basically the same vehicle, as are the new 2019 Silverado and 2019 Sierra. 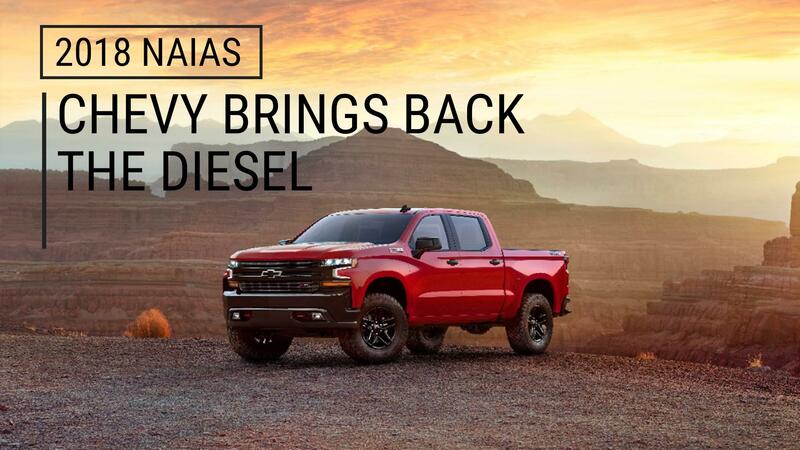 At least the two trucks look decidedly different. There's still a family resemblance, but most of the bodywork has been changed. 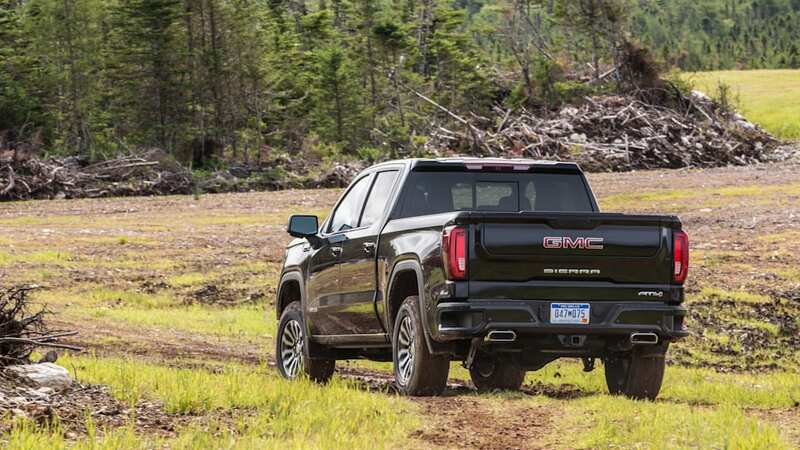 Where the 2019 Silverado adopted some curves, the Sierra stuck with straight lines. 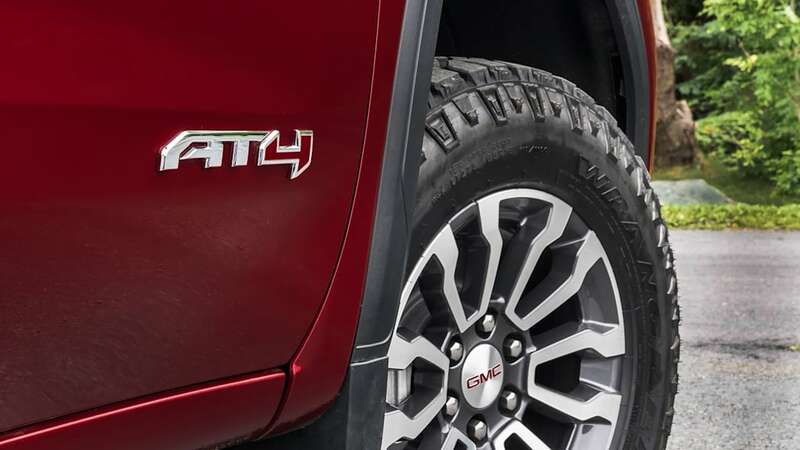 Compare things like the headlights, wheel wells and doors. 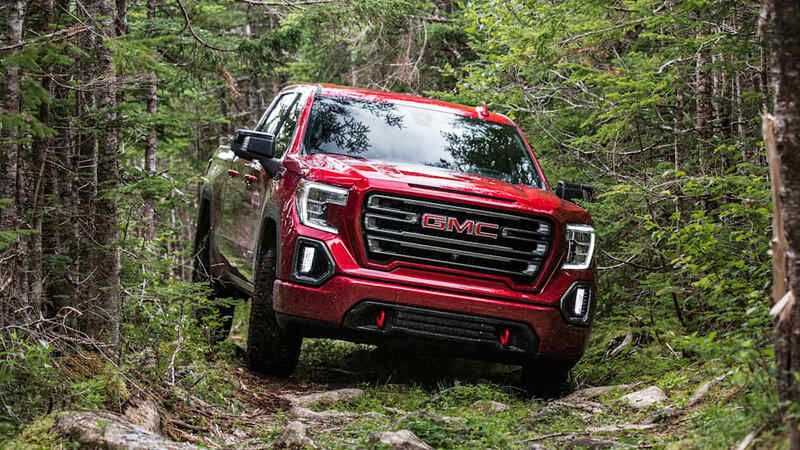 The Sierra still has a massive grille and — aside from the AT4 off-road trim — packs on as much chrome as a 1958 Cadillac, but that's what customers want these days. 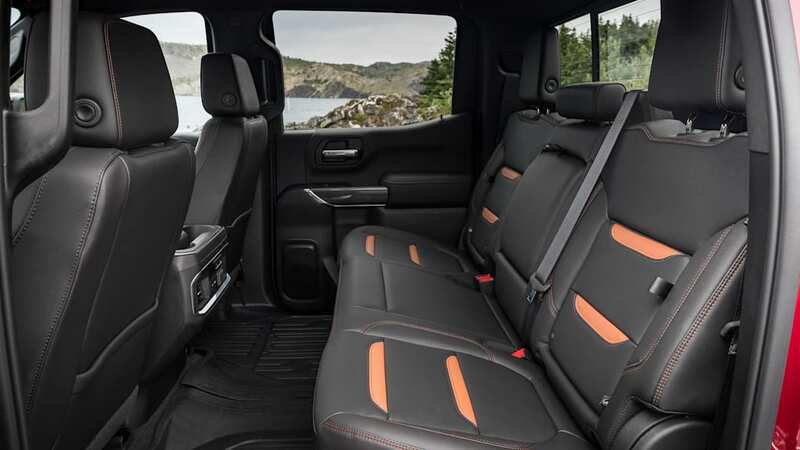 The Ford F-150 and Ram 1500 are no different in this regard, packing lots of chrome, hard edges, and frontal areas that would give passenger trains a run for their money. 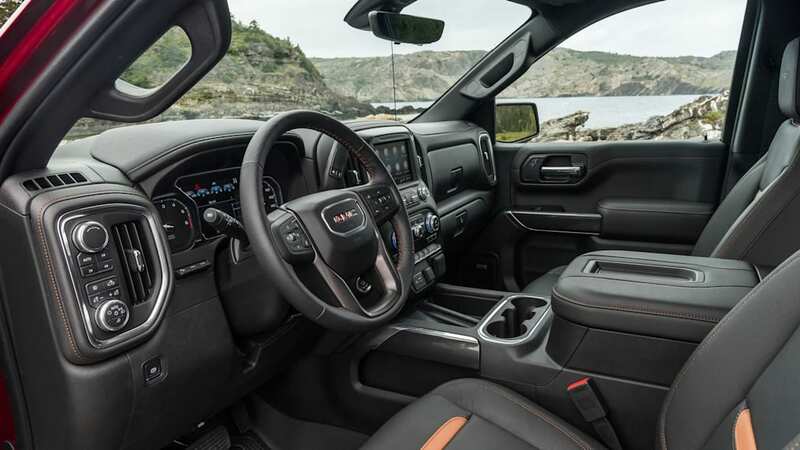 At first glance, you'd be hard pressed to tell the Sierra and Silverado's interiors apart from both each other and the outgoing models. It's basically the same design, though the Sierra makes do with some slightly nicer materials. 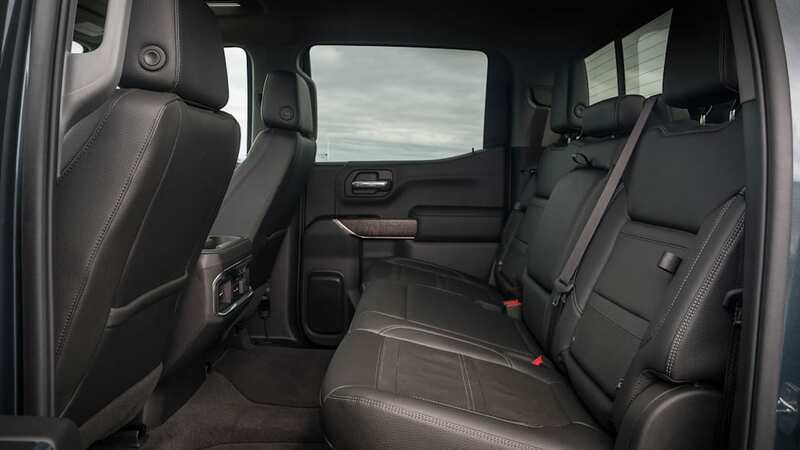 Even in the Denali, though, leather, trim and switchgear feel cheap, and look notably worse than the competition. 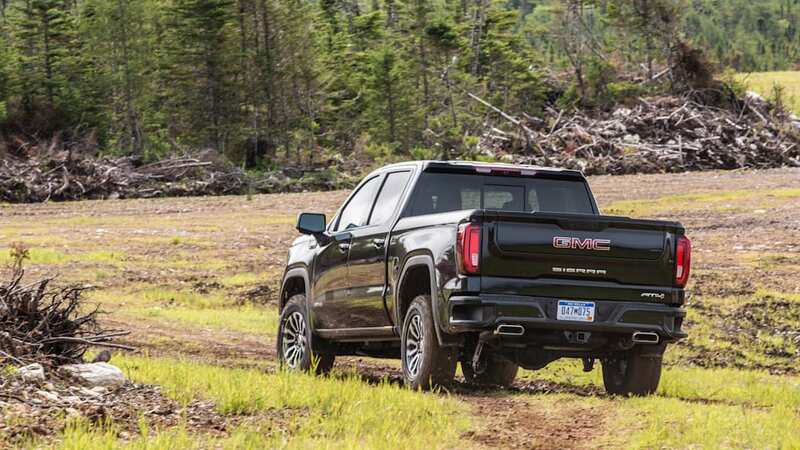 The Sierra's overall packaging is nowhere near as efficient as the new Ram 1500. 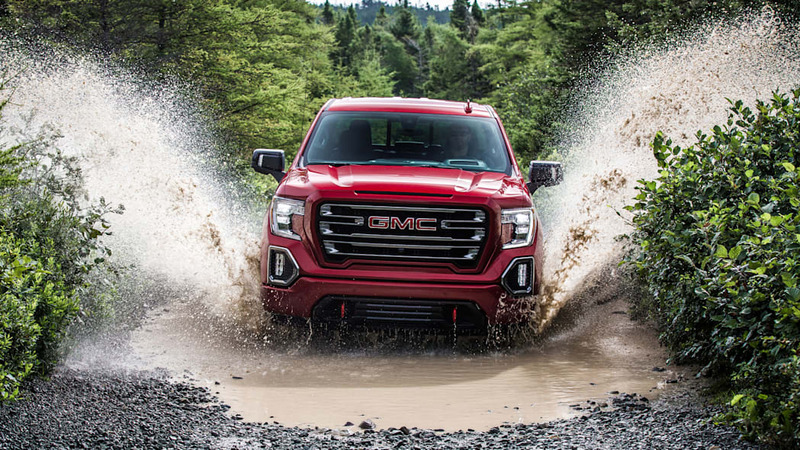 It may be rugged, but it lacks a premium feel we've come to expect in these high-end trucks. At least the Sierra does well on the technology front. The huge heads-up display is clear and crisp and one of the best I've seen in any vehicle at any price point. 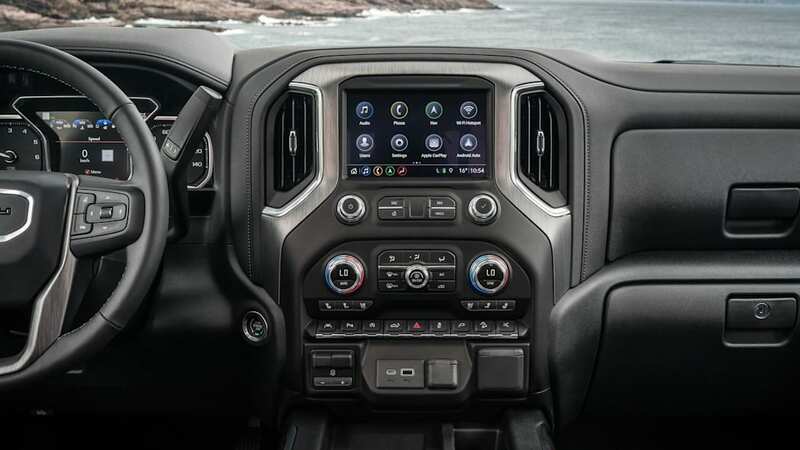 The infotainment system is quick and intuitive and features both Apple CarPlay and Android Auto. 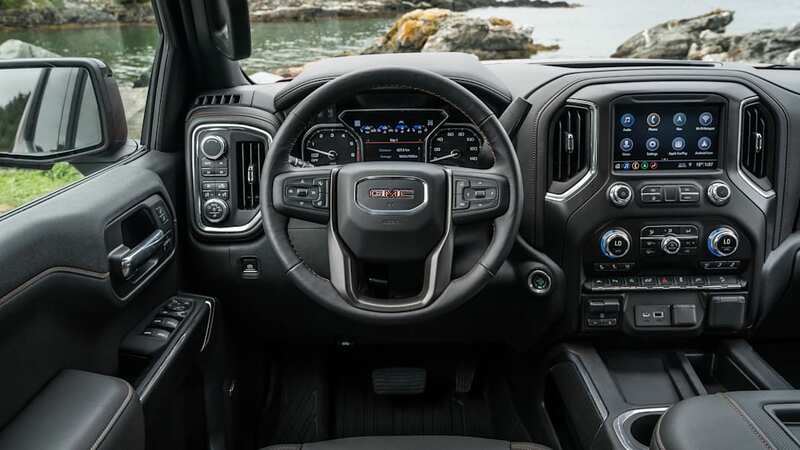 There are multiple USB-A and USB-C ports in the center console, though not as many as on the Ram 1500. 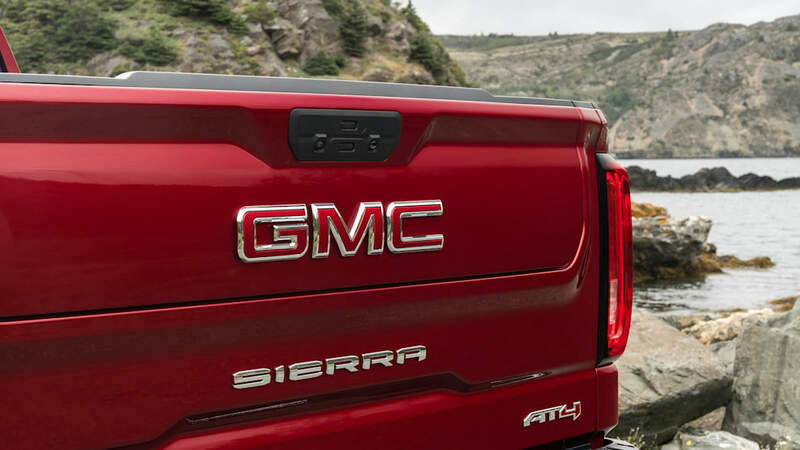 Like many other GM products, the Sierra comes with a 4G LTE WiFi hotspot. 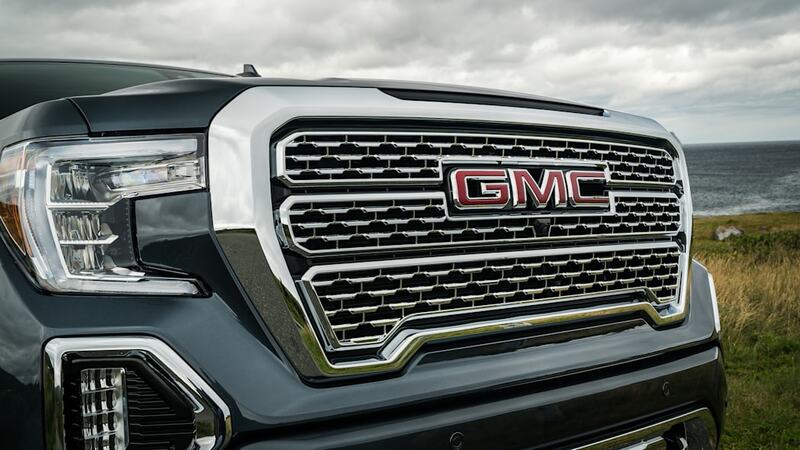 The updated rear-camera mirror allows you to adjust the viewing angle and brightness. It's a great tool if your eyes get used to the new reference points. 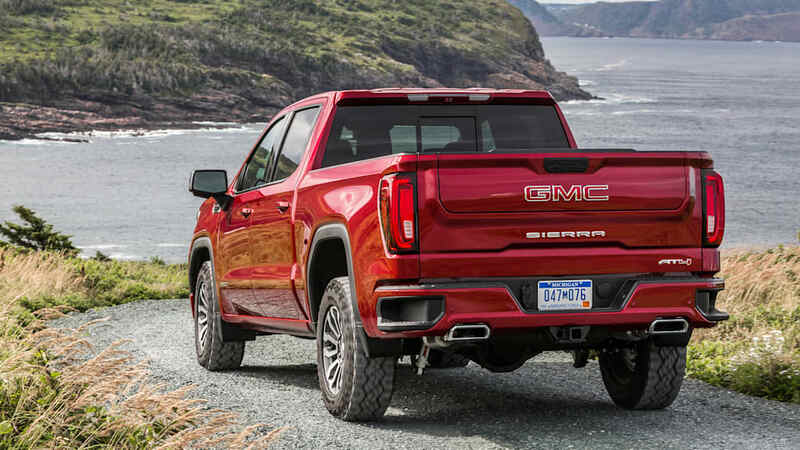 In addition to styling, GM is giving the Sierra and Silverado unique features that are intended to further separate the two trucks. 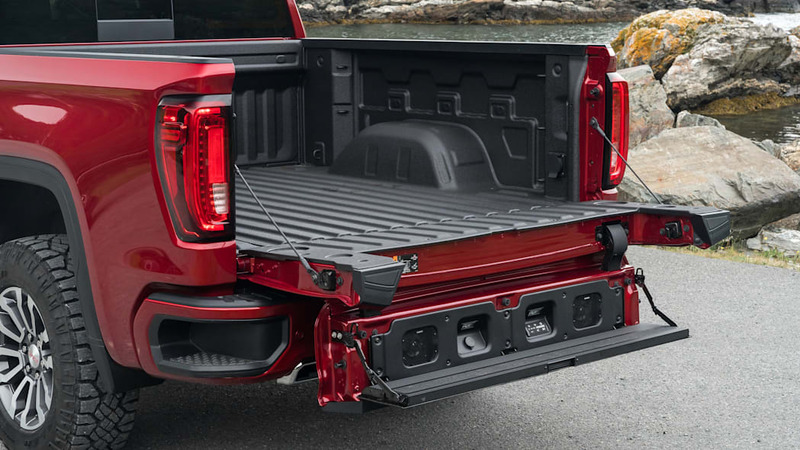 The main and most notable feature is the tailgate. 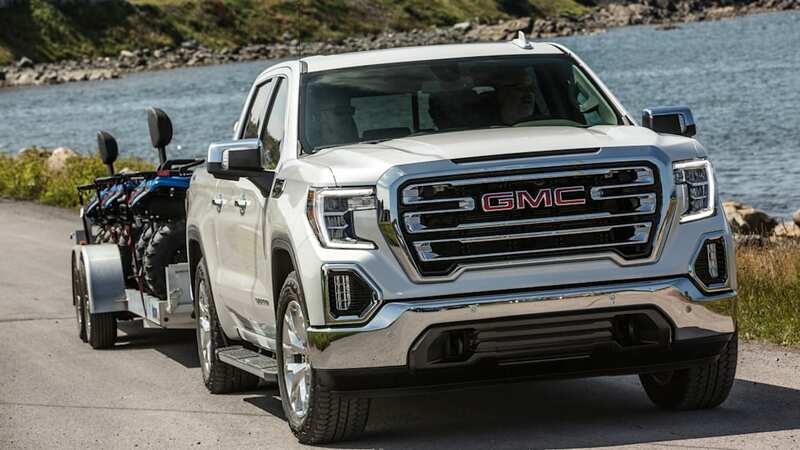 While the Silverado gets a power-assisted tailgate (both to raise and lower), the Sierra gets the trick MulitPro tailgate as standard on the SLT, AT4 and Denali trims. 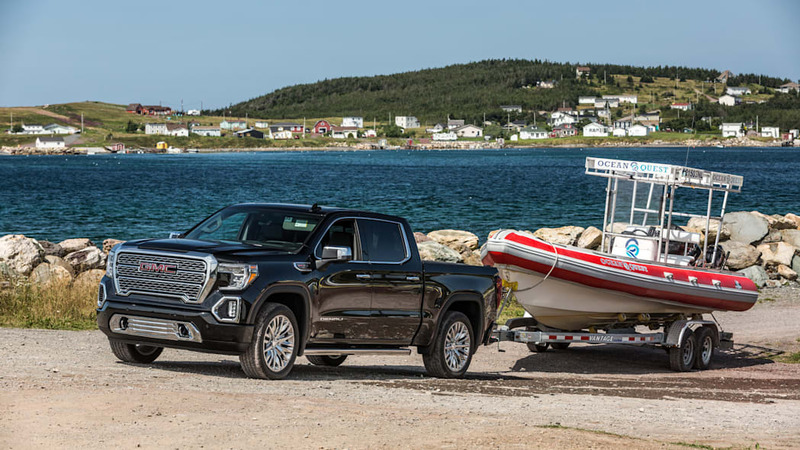 Think of it as a tailgate within a tailgate that offers some extra versatility. It works well once you get the hang of it, but it's a little gimmicky and adds a lot of complexity to a part that takes a lot of abuse. 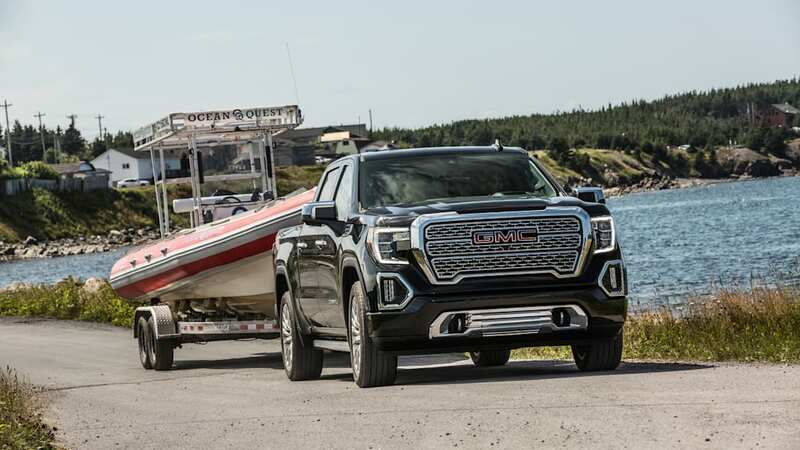 GMC's other unique selling point is the optional CarbonPro bed. 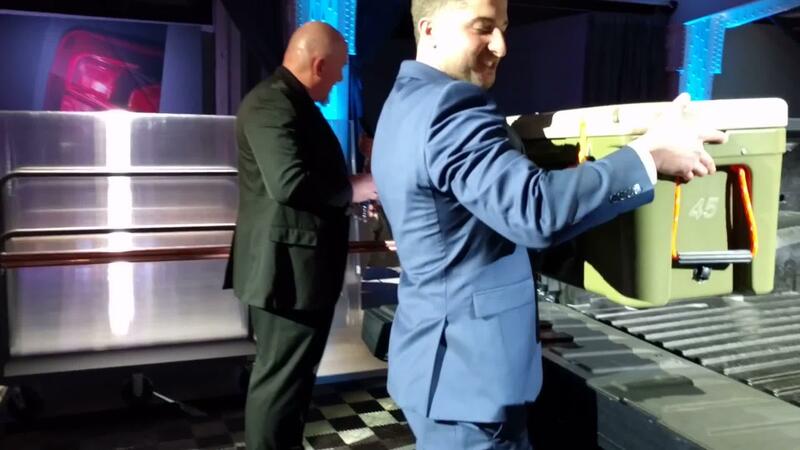 A multi-piece carbon-fiber tub replaces the standard steel box, shaving 62 pounds from the truck's rear. 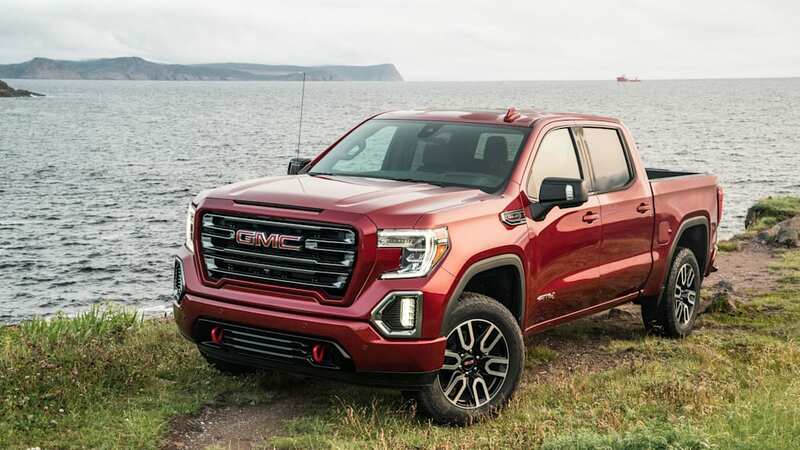 In addition to the weight savings, GMC is touting the bed's corrosion and scratch resistance, though we're skeptical about its durability and overall benefits, especially given its premium nature. 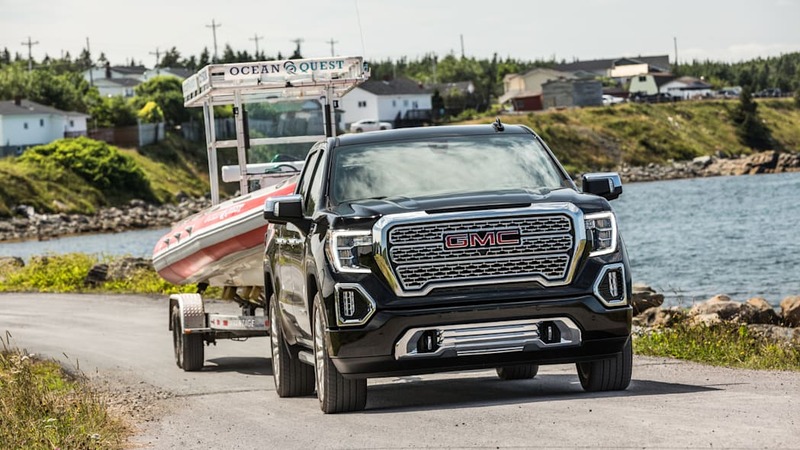 Pricing for the CarbonPro bed hasn't been announced, but expect it be a several thousand dollar option on a Denali. 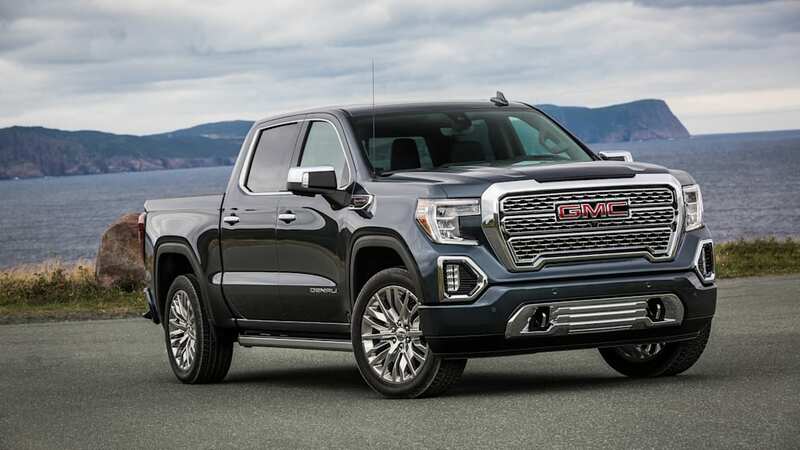 Pricing for a 2019 Sierra Denali starts at $56,195 or $60,295 with four-wheel drive. 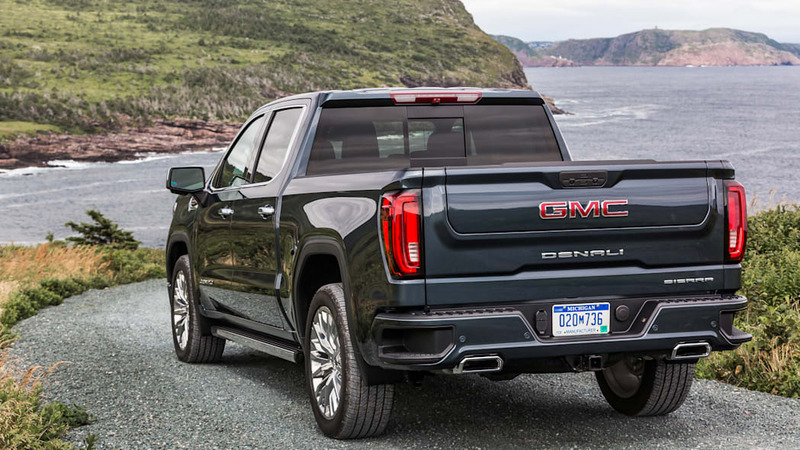 Beneath the skin, there's little separating the Sierra and Silverado. 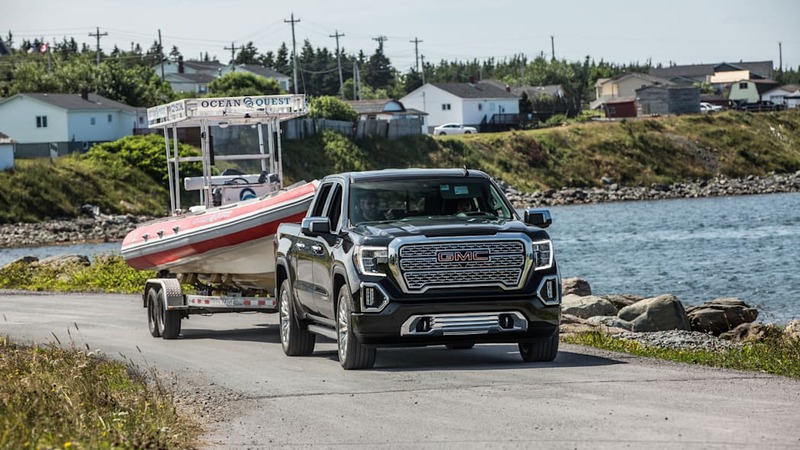 Both trucks are available with the same six engines, though we only had a chance to sample the range-topping 6.2-liter V8 during our drive. 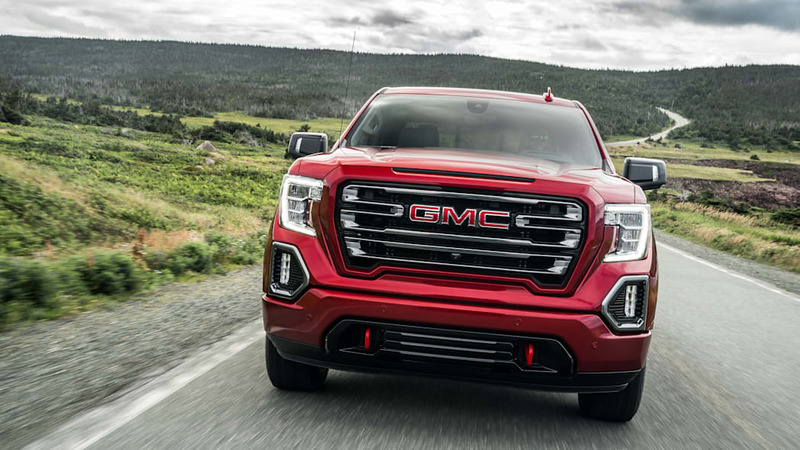 That engine makes 420 horsepower and 460 pound-feet of torque. 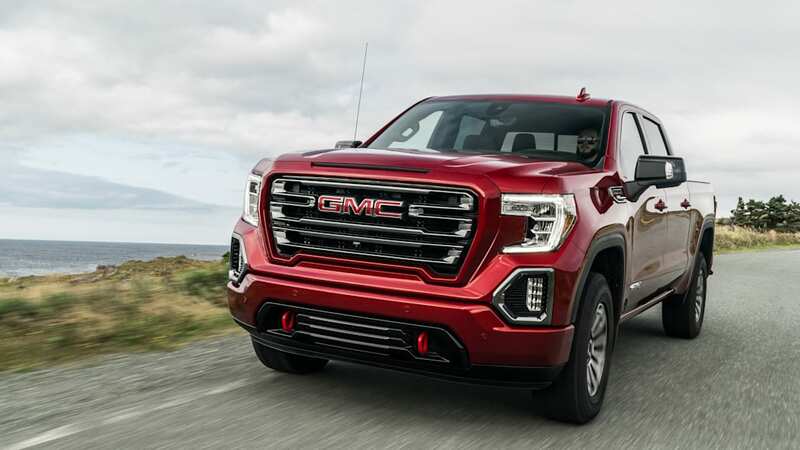 Aside from the 6.2, both trucks will have a 5.3-liter V8, 4.3-liter V6, a 2.7-liter turbo four and a 3.0-liter turbo diesel. 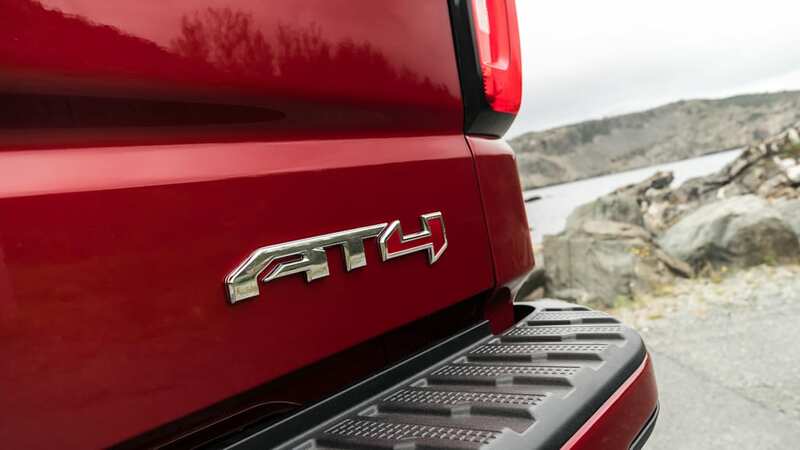 We had a chance to drive early prototype versions of the Silverado a few months back with both the 5.3-liter V8 and the 2.7-liter inline-four. 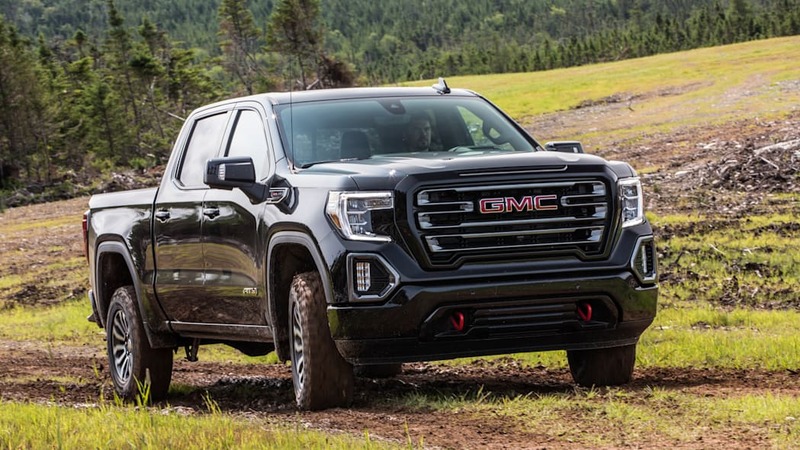 There are a few transmissions on offer, but we only had an opportunity to test out the 10-speed automatic, as it's the only transmission that's paired with the 6.2-liter V8. It does its job smoothly and silently – it's forgettable, in a good way. 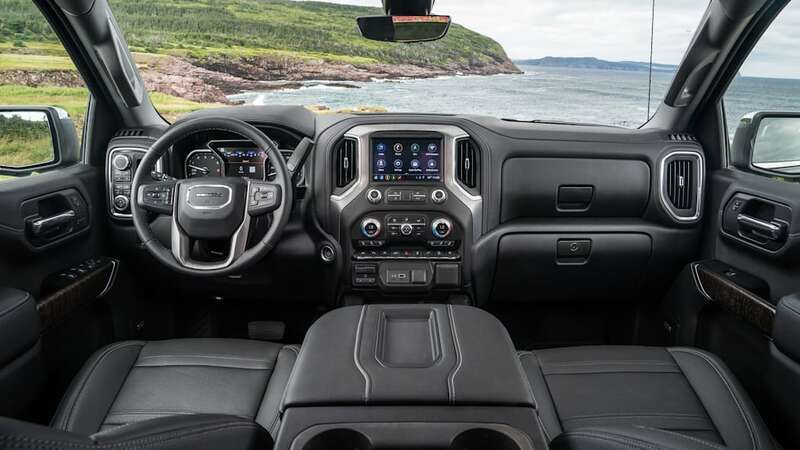 As it was co-developed with Ford, variants of this transmission can be found in both the 2019 F-150 and 2019 Mustang, including our former long-term GT. 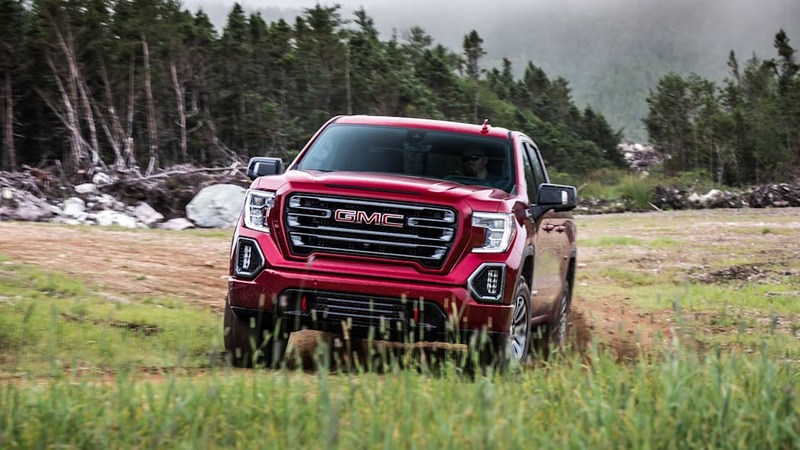 Every automaker is focused on saving weight in order to improve efficiency. 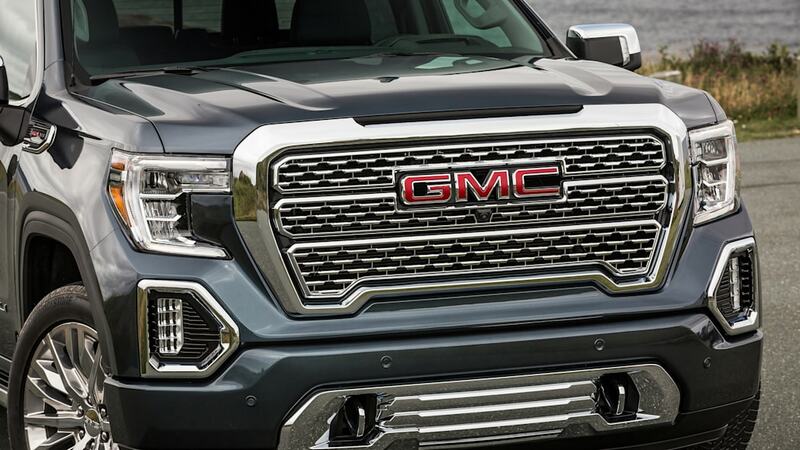 The Sierra — again like the Silverado — uses a mix of aluminum and steel to shave weight. 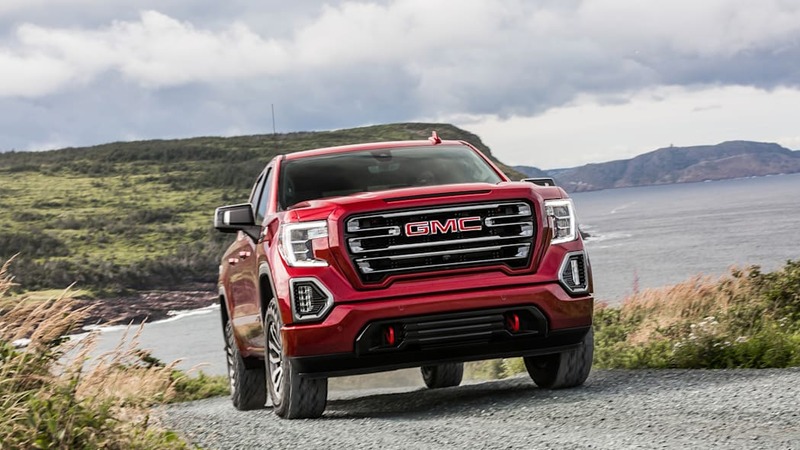 You'll find aluminum in the doors, hood and tailgate while steel is still used for the fenders, roof and standard cargo box. 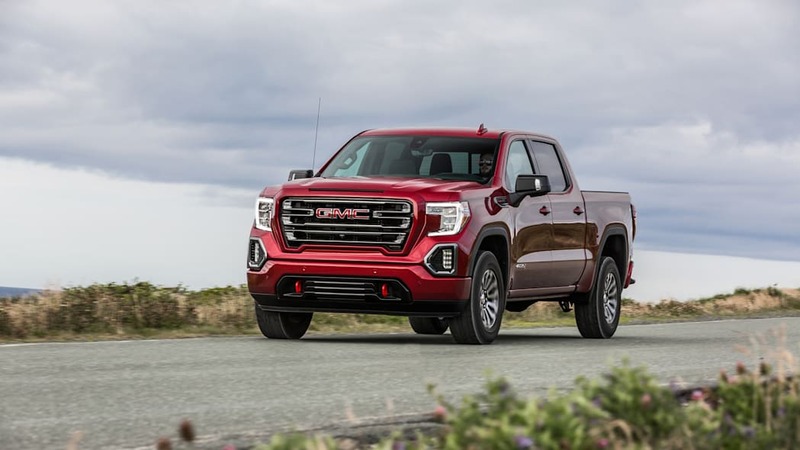 Depending on the trim, the Sierra loses as much as 360 pounds over the outgoing model. 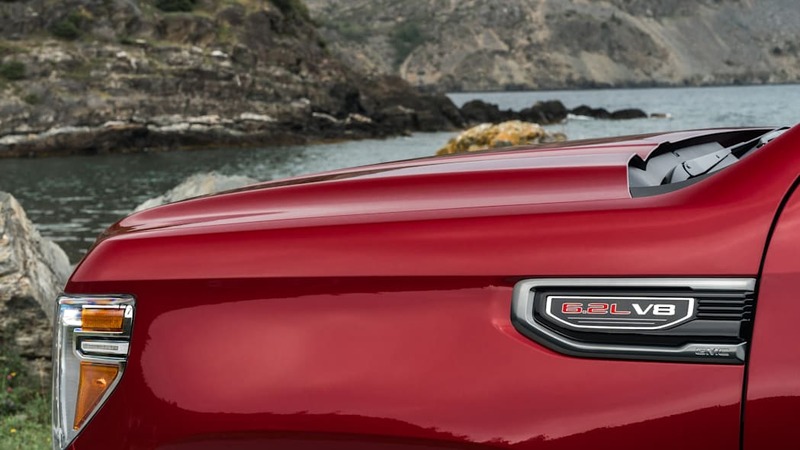 It represents a sort of middle ground between the aluminum F-150 and steel Ram 1500. 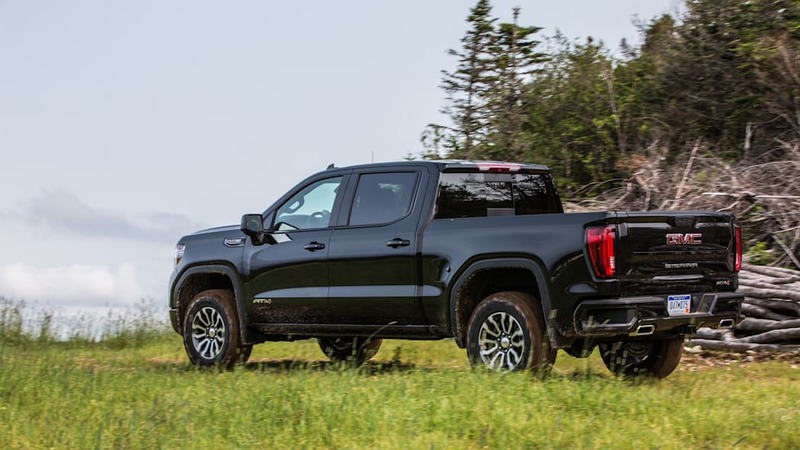 The Sierra Denali is mostly pleasant from behind the wheel. 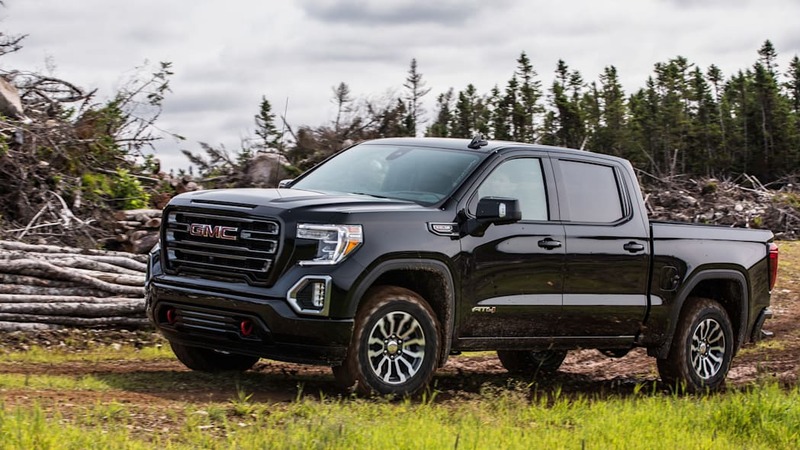 The 6.2-liter V8 — a $2,495 option — feels stronger than both the Ram 1500's Hemi V8 and the Ford F-150's 3.5-liter EcoBoost V6, especially off-the line. 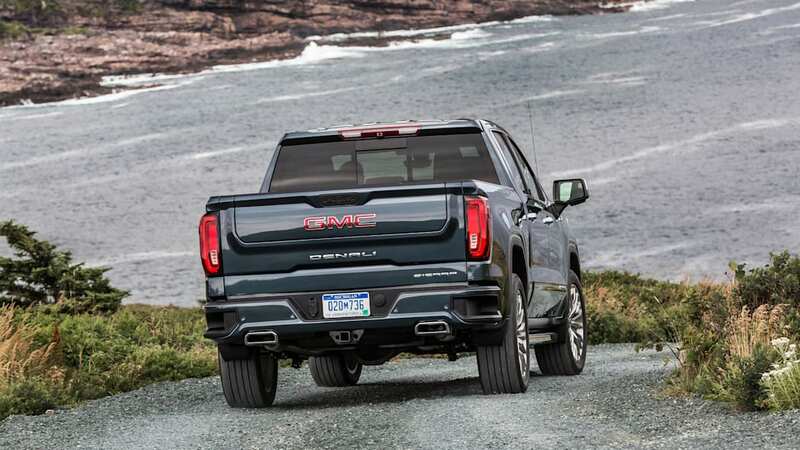 Its deep, burly sounds reminds you a bit of the Camaro and Corvette, but when you're not laying on the gas it's subdued. 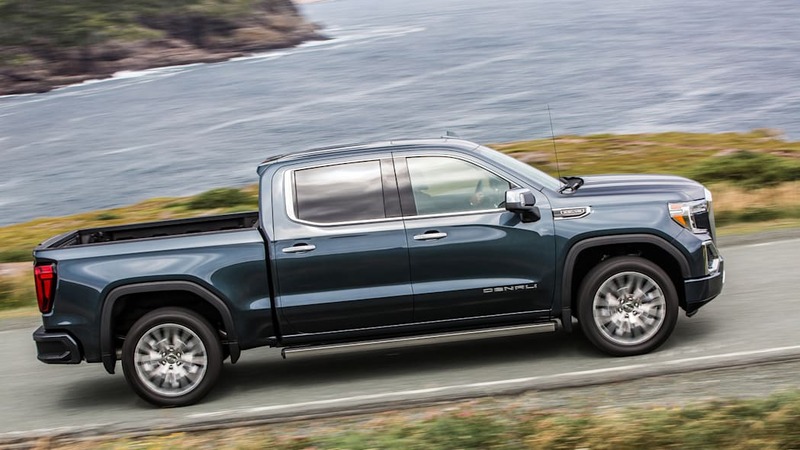 Refinement in pickup trucks has come a long, long way in the past decade. The steering is firm and direct and the turning radius is surprisingly small. 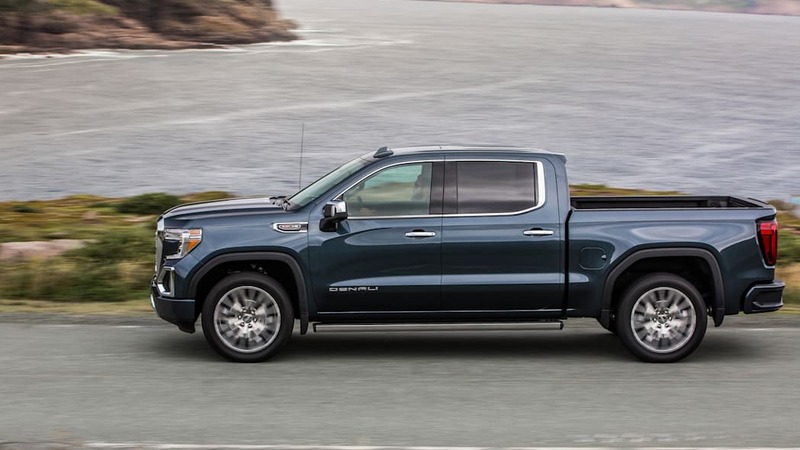 Still, it's a big truck and you feel every bit of its nearly 7-foot width. 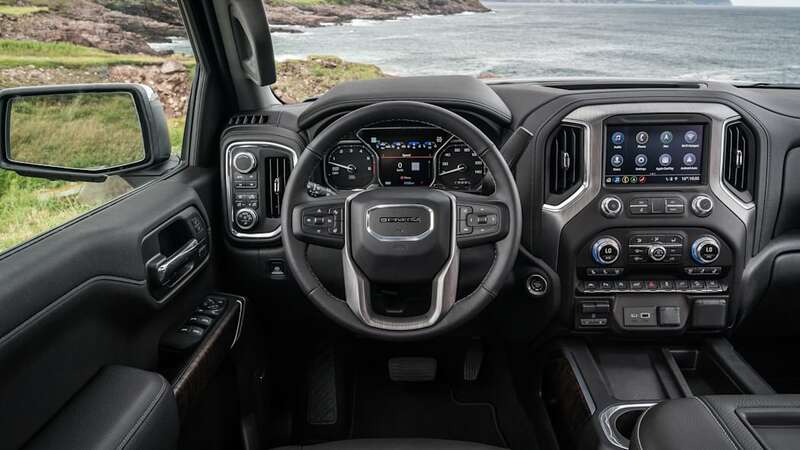 Visibility is average for the class (helped by the rear-camera mirror and 360-degree camera), though its thick A-pillars can block your view in a corner. 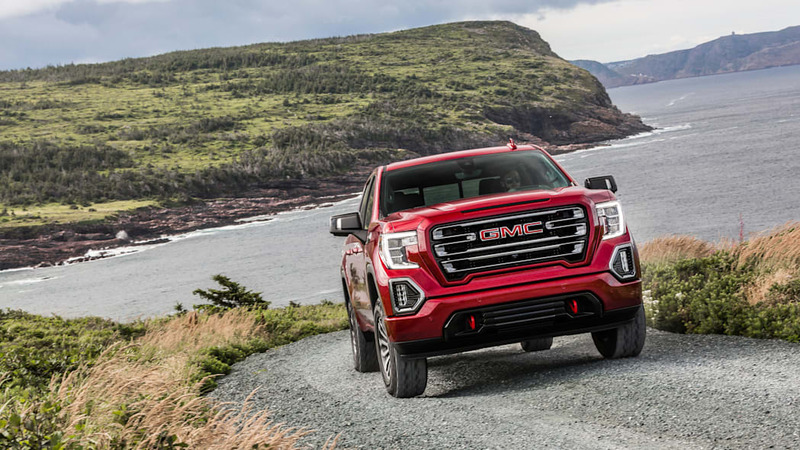 The cameras are a boon if you're off-roading, providing views from both bumpers and of both sets of wheels. 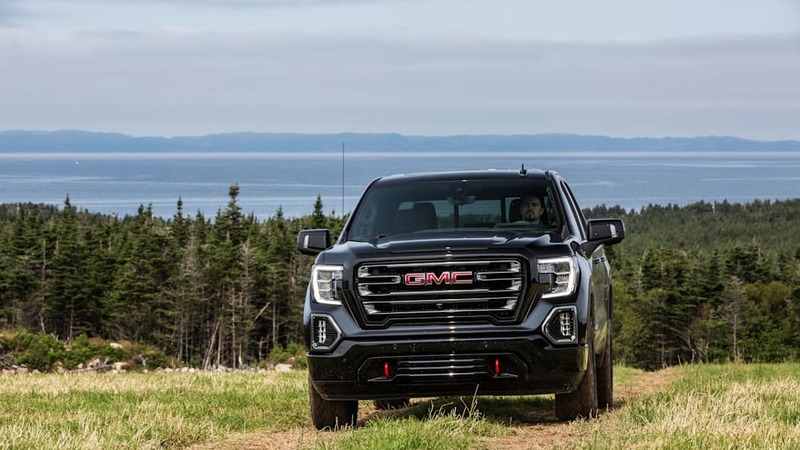 The seats and seating position are fine (the new, centered steering column is appreciated), though overall comfort and ride quality are poor in the Denali, even with Adaptive Ride Control. The system uses sensors to adjust the dampers every 2 milliseconds, but it's not quite enough. 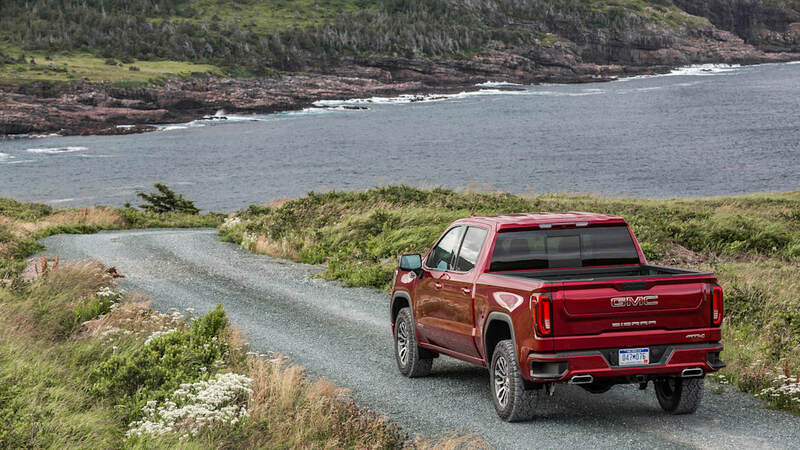 The Sierra crashed and bounced over the mediocre Newfoundland backroads. It's bound to be worse in a place like Detroit or Los Angeles. I'm placing a lot of blame on our tester's optional 22-inch wheels, as the ride was better in our very brief time in the AT4. 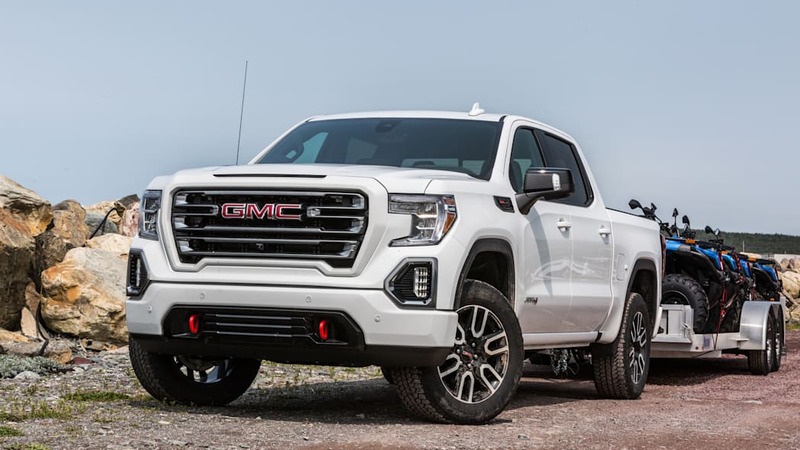 While the new Sierra is an improvement on the outgoing model in nearly every way, it still suffers the same problem as before: it's not nearly different enough than the Silverado considering the several thousand-dollar price gap and behind the competition in terms of refinement. 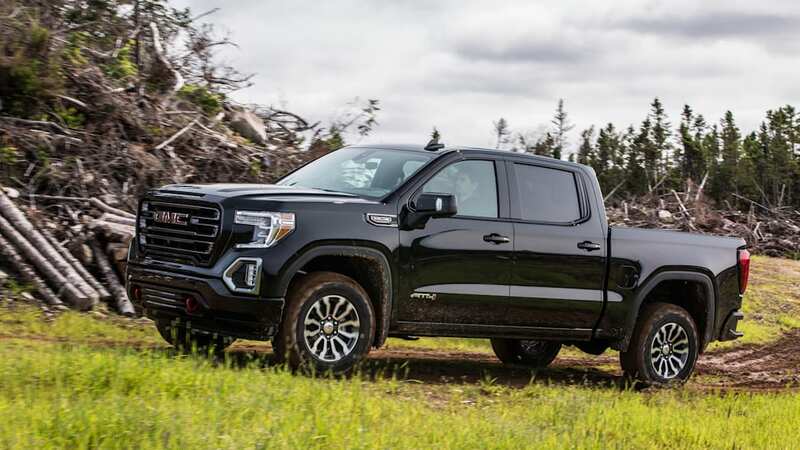 The powertrain and technology are the Sierra's biggest pros, though you can say the same of the Silverado. 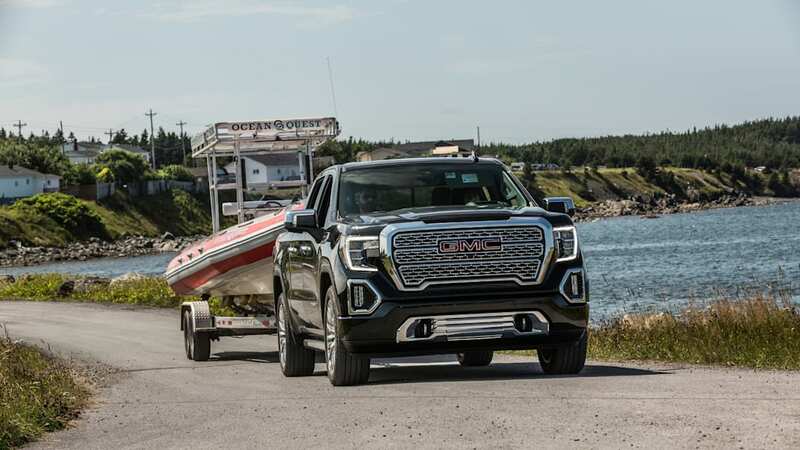 The MultiPro tailgate and CarbonPro bed are the only unique features, but for many people they're going to be parlor tricks to show to friends. 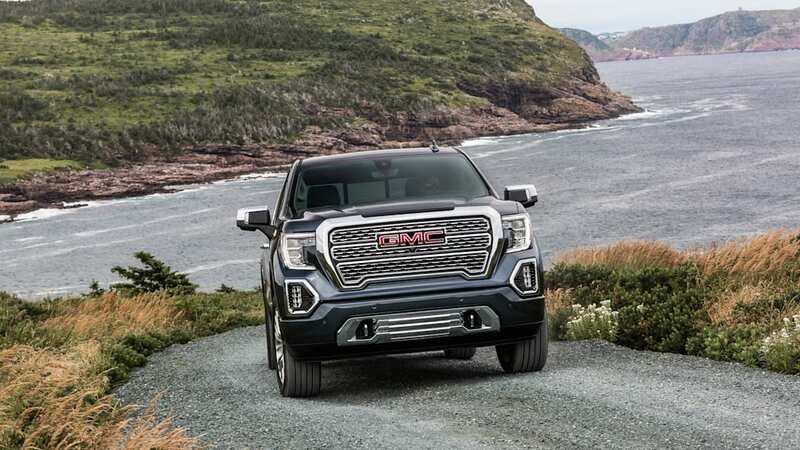 We have no doubt loyal GMC owners, both north and south of the border, will love the new Sierra. 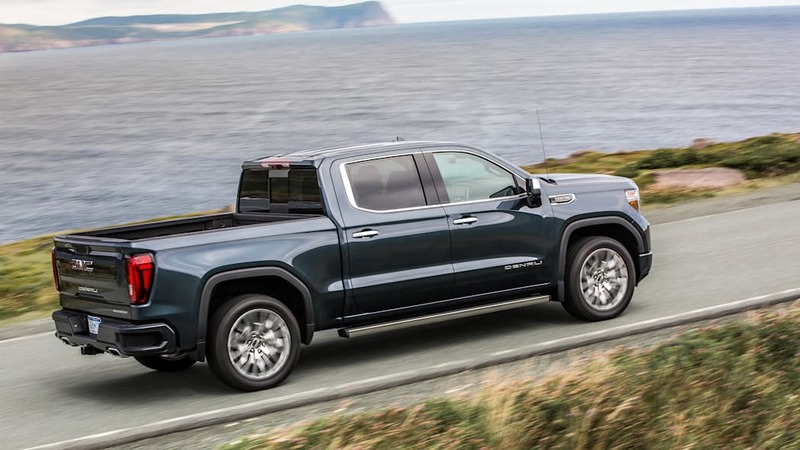 But the real differentiator between it and the Silverado is the styling, not the tailgate or carbon-fiber bed. 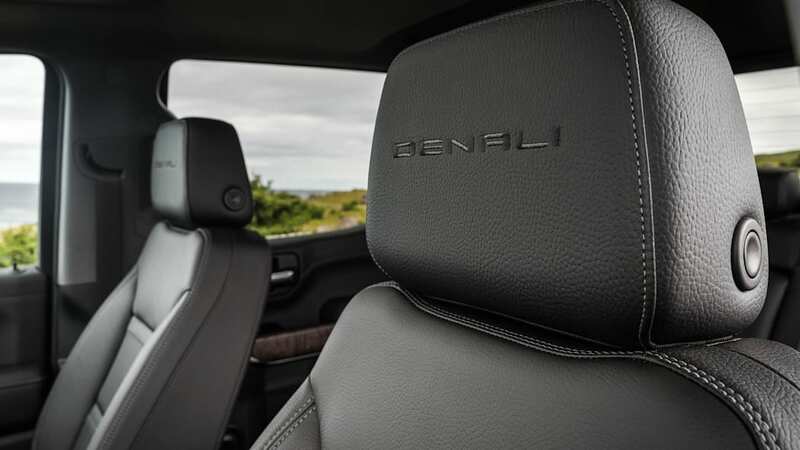 The top-trim Denali sacrifices comfort for looks, and still falls short of top-grade trims on the Ram 1500 and F-150. Our brief time in the AT4 didn't reveal much beyond a better ride. 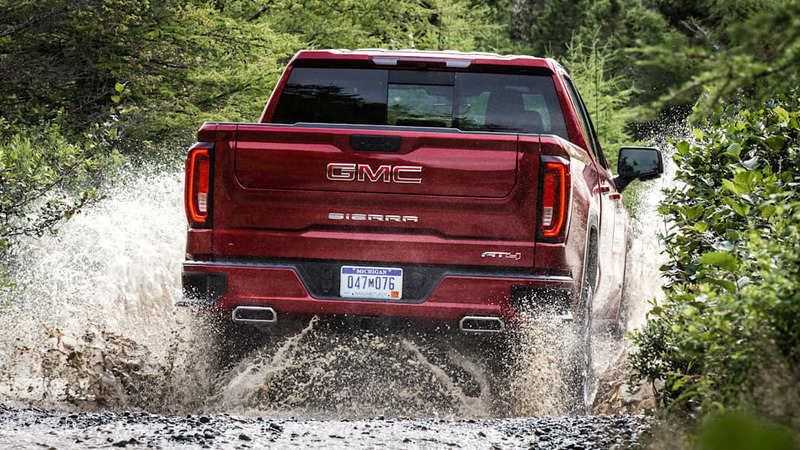 The Sierra's a fine truck, but it still just feels like a well-dressed Chevy.